Last June, Joe Banner left the Eagles after 18 years as Jeff Lurie's trusted confident and shadow CEO. We were told the parting was amicable, that Banner had simply departed to pursue other interests, like buying a NFL team himself. While he did end up part of an ownership group in Cleveland, Banner's exit was much more complicated than it appeared in the press releases. There were rumors of a power struggle between Banner and Andy Reid. Meanwhile, Banner's former protege Howie Roseman was gaining his own brand of influence within the front office — something Lurie confirmed on Monday. Whatever was said at the time, no love was lost between Banner and the Eagles executives who stayed. He sniped at the team from afar, blaming both Roseman and Reid for the decline in a petulant display of anonymous mudslinging. His words clearly got under Reid's skin toward the end (he purposely snubbed Banner's mouthpiece at an after-practice press conference). And I would be surprised if Lurie wasn't annoyed as well. Whatever else they were, Lurie and Banner were friends first. I wonder if they sent each other holiday cards this year. 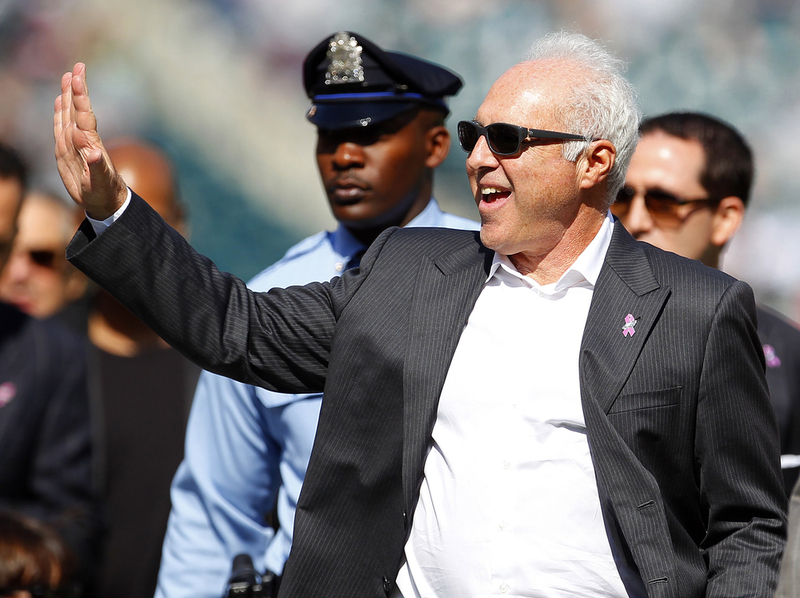 Complicating matters further, Lurie has essentially assumed Banner's job within the Eagles organization. Banner used to run the entire organization on a day-to-day basis, overseeing everything from stadium operations to salary cap management. Now Lurie has injected himself more into the process. On the football side, without his (former?) friend, Lurie is the direct report for both Roseman and the head coach. At the same time, Banner is trying to replicate his Philly model in Cleveland, where he can execute complete control. All of this is just inside baseball stuff until you get to the key issue of the day: hiring a new head coach. Banner and Lurie collaborated to pick Andy Reid. You can assume that over the years they discussed coaching a lot, including qualities that make the best NFL coaches, and certainly who those candidates might be. Now they're both looking for a coach at the same time, and reportedly (and unsurprisingly) are looking at the same guys. Apparently Chip Kelly and Bill O'Brien both rank at or near the top for both organizations, and the Eagles and Browns seem ready to fight it out. Where friendship once stood, it's hard to see anything but personal rivalry, and perhaps even vengeance on the horizon. If I were advising Lurie I would tell him to be sure to approach this process in a logical, organized, and emotion-free way. Rushing to hire one of these coaches simply to beat the other guy is a foolhardy way of conducting business. Let's hope these men — or at least Lurie — have more sense than that. Tagged with Jeffrey Lurie, Front Office, Head Coach, Philadelphia Eagles, NFL, Joe Banner, Bill O'Brien, Andy Reid, Chip Kelly, Cleveland Browns, Howie Roseman.